All courses are for a minimum of four people, smaller groups can be catered for but at a slightly higher rate. Please contact Julia for more details. 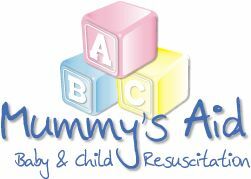 Bookings essential: email julia@mummys-aid.com.au or phone 0427 011 690. Julia has been a paediatric nurse since 1998. She undertook her training at Great Ormond Street Hospital, London, and then went on to work in various paediatric settings in leading teaching hospitals across London and England. More recently in Australia, Julia has worked at The Princess Margaret Children’s Hospital in Perth and is currently a Paediatric Nurse Educator in Geelong, Victoria. She lives in Jan Juc with her husband and son. 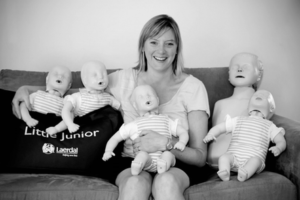 Julia has gained invaluable experience in teaching paediatric resuscitation to both medical and nursing staff as well as to parents of sick children. By teaching her skills to parents Julia empowers them with the confidence to know what to do in the event of an emergency.